You are warmly invited to attend our Annual Missionary Conference held at 1350 Langstaff Road. Please click here for the conference schedule. Note that the conference now starts Saturday morning at 10:00 AM instead of Friday night. Our brother David McKillen is not able to be with us as previously planned, due to health concerns. We have added Josiah Barkhouse to our speaking schedule and he will report on the work being done with the international students at Lambton College in Sarnia, Ontario. Accomodations: Sheryl Payne, Tel: 416-809-2061; E-mail: sheryl.payne@icloud.com. Join us for a special Easter message and meal! Click here for directions and speaking schedule. 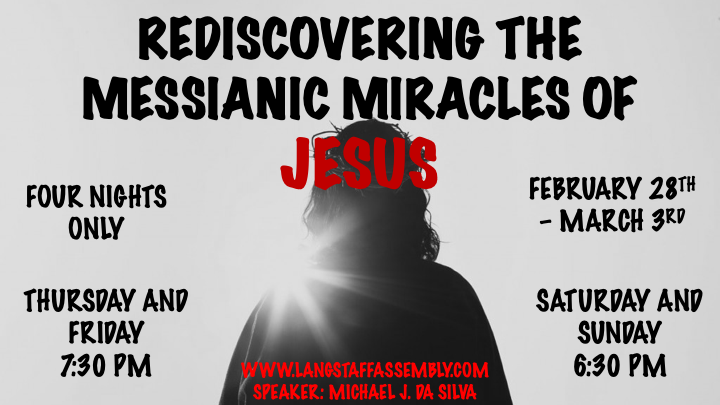 Gospel Mini-Series with Michael Da Silva Jr. There will be an afternoon of ministry with Matthew Cain at Unionville Gospel Hall on Saturday, Feb 9, 2019. The afternoon will begin at 1:00 pm and continue until approximately 4:30 pm, with a short break in the middle during which light refreshments will be served. Join us for a delicious lunch….get to know us and we’d love to get to know you! SPEAKER BIO: Stephen's first career was in I/T, but he has spent the last 20 years in spreading the Gospel and church planting. He recently completed training as a Registered Psychotherapist (Qualifying) and he is really interested in how the Gospel addresses the deepest needs and desires of human beings. Kosher Food will be available.